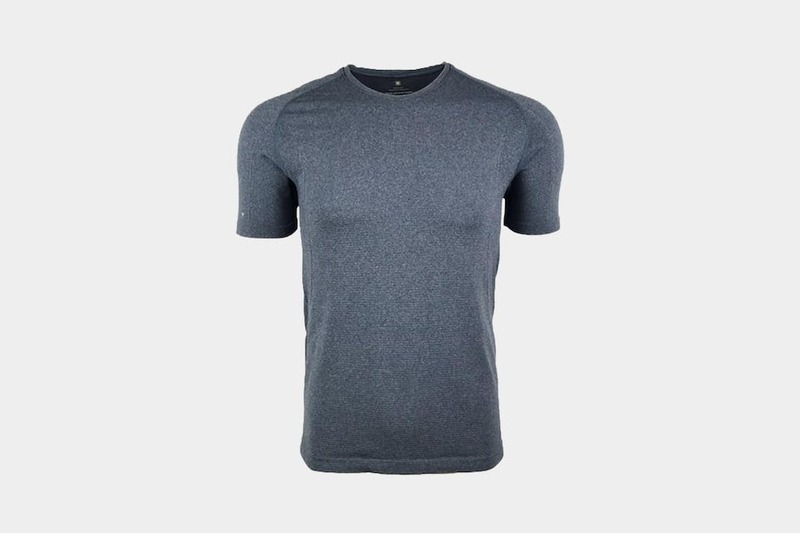 The Y-Athletics Silverair Everyday Shirt is a stylish, lightweight, and odor-resistant performance shirt that packs well and will help you stay cool and dry during exercise. The decision to pack a shirt specifically for working out is a tricky one for minimalist travelers. Most will want their shirts to be able to fulfill more than one purpose, and there are many types of shirts that can fit these needs on the market today. If you are specifically looking for a performance shirt that, while clearly a workout shirt, could possibly also pass as occasional casual wear, the Y-Athletics Silverair Everyday Shirt is an option to consider. The advertisements for this shirt make it sound almost too good to be true, but it does offer a couple of definite advantages for one-bag travelers. Although not truly as “seamless” as advertised, it is designed with very few seams and no tags. This promotes a uniform feel and significantly reduces the potential for itching, chafing, and pressure points. The sweat wicking and anti-odor properties are an added bonus for those who are working out on the road. A combination of nylon and an anti-stink silver make this shirt highly resistant to smell and moisture. You will need to wash the shirt occasionally—we’d recommend at least once a week unless you’re planning to stay single for a while—but you will not notice much armpit smell even after heavy sweating. Sink laundering this shirt is definitely an option, but you should expect it to take overnight to dry if left indoors (depending on climate). Packability is a major strength of this shirt. The nylon-based fabric is extremely lightweight: the medium size weighs in at just 4oz (117g) when dry. For comparison, a medium Adidas athletic shirt (60% poly, 40% cotton) weighs 5.5oz (155g). The Everyday shirt is also highly compressible and doesn’t wrinkle much when left in a bag for extended time periods. So if you’re feeling lazy, you can just crumple it up and toss it in your pack without worry. The anti-odor properties are another added bonus here. Even if you just worked out in it, this shirt does not stink up the rest of your bag. Although it will sometimes take on a little bit of bag odor, especially if you have other smelly clothes, any residual scent will dissipate very quickly once you put it on or let it air out. The look and feel of the Everyday shirt is a little more subjective. Although the material is lightweight and the mesh-like texture feels great against your skin, some might find the shirt to be a little on the warmer side for performance wear. 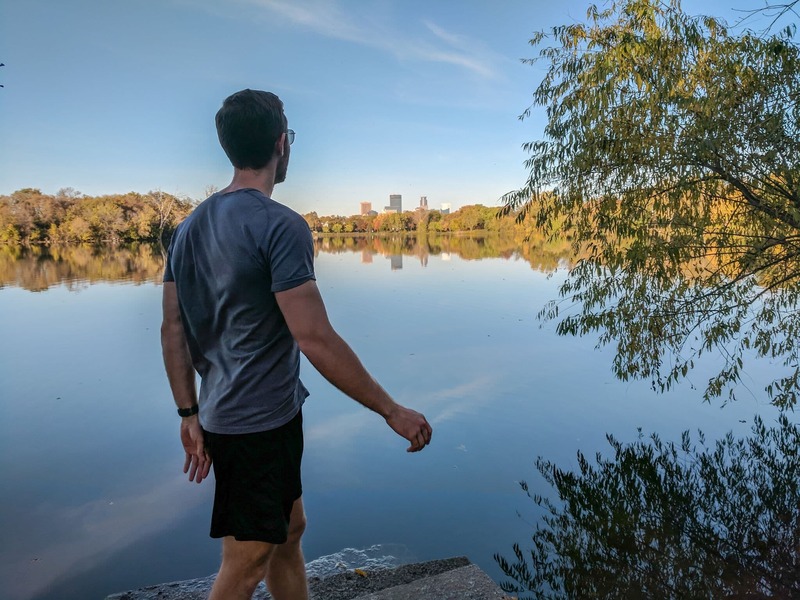 The fit is also tight and, although not nearly as form fitting as Under Armour’s Compression Shirts, less confident people may feel slightly uncomfortable when wearing it. Y-Athletics clothing is clearly intended for leaner individuals, so you may consider ordering a size up if you don’t want that extra level of tightness. The minimalist design and de-emphasis of brand name and logos will also appeal to some, but not others. You certainly will not feel like a walking advertisement wearing this shirt, as there are just two small Y-Athletics logos (one on the shirt sleeve and one near the waist) neither of which are noticeable. If you’re a fan of big logos and text, then this shirt is not for you. The Silverair Everyday shirt is marketed as one that can be worn for sport and exercise, but also one that can function as casual wear. While we feel that this shirt looks nice, packs well, and performs great, it misses the mark just a bit on the “everyday” factor. Unless you like getting asked if you just came from the gym, you probably won’t feel too comfortable wearing this out to the bar with friends. Even to the untrained eye, this shirt is pretty obviously intended for working out, so keep that in mind if you are looking for something truly multifunctional. Shirt feels great, doesn’t smell at all, and has maintained a brand new appearance for a few weeks. 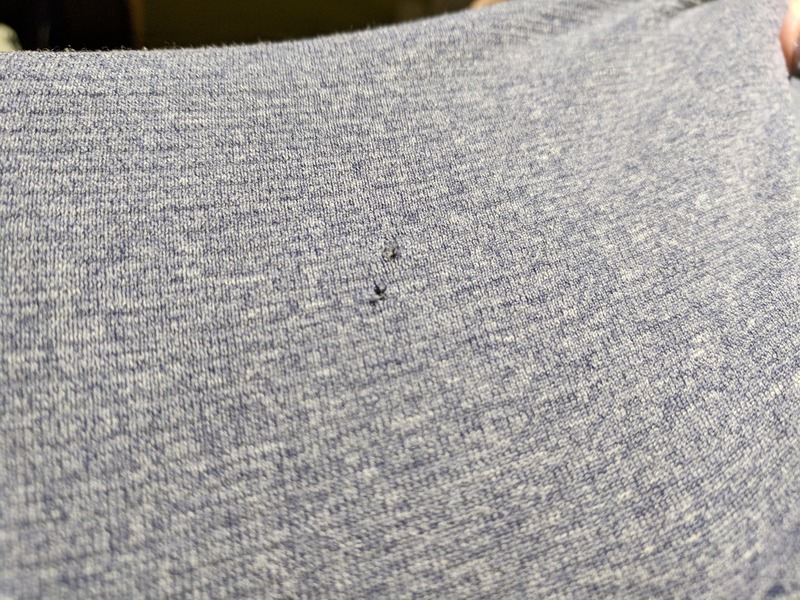 The shirt has held up well after a few wash cycles and daily/every other day casual and exercise use, but two small holes have developed in the fabric. Odor resisting properties are still intact. Shirt has held up well over many wash cycles and consistent weekly usage for working out and as occasional casual wear. No further holes have developed and all stitching is intact. However, the odor resisting properties seem to have worn off slightly, especially in the underarm area. 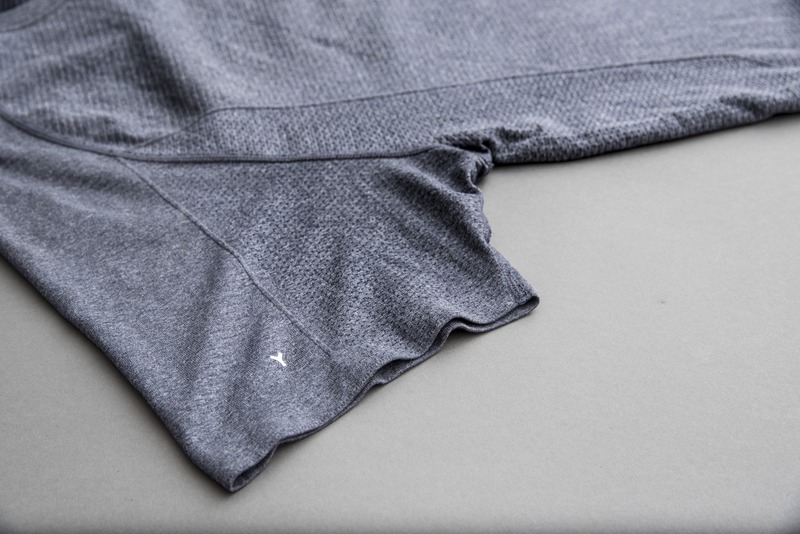 With its minimalist design and performance-oriented fabric, the Y-Athletics Silverair Everyday Shirt offers a great balance of utility and aesthetics at a reasonable price. While it may not suit everyone’s needs as “everyday” casual wear, it may be a perfect addition for sporty one-bag travelers.